Shipping weight = 5.80 lbs. Field-tested and farrier-approved, Hooflex® is designed with prebiotics and Omega-3 fatty acids to support strong, healthy hooves. It comes in a concentrated 2 oz. serving size with no fillers. A recent field test showed a significant increase in hoof growth in horses fed Hooflex® – an average of nearly 2½ inches in six months. Zinpro Performance Minerals® 4-Plex®C delivers zinc, copper, manganese, and cobalt, all essential hoof minerals. Tasco® AOS, an all-natural prebiotic, supports the gastrointestinal tract to help ensure horses get the most out of every pellet, while Diamond V® Original XPC™ provides prebiotic activity to further help improve nutrient digestibility. The highly palatable alfalfa base makes it easy to administer. 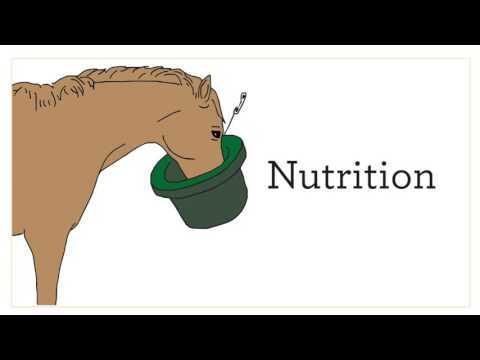 Feed one scoop daily for an adult horse weighing 1,000 lb. Adjust the amount according to the horse's actual weight. Enclosed scoop provides a 2 oz. serving. I have only been giving this product since July and had been fighting hoof abscesses in both of my horses. They both seem sound now and this product seems to be doing ok. I wish the price was lower. I have never used this but I trust Absorbine products. Have a horse dealing with broken hoof walls on one front foot from ripping a shoe off twice. Hoping this promotes better quality regrowth. I have 2 TWH mares with crappy white feet. Cracking, poor growth. Thought I'd give this a try. I don't know if its this or this combined with the Vita Flex Accel vitamin and minerals I'm giving them but after over a moth there feet do look considerably better. I know it takes a while for hooves to grow out but the overall health of the foot looks better. There not all chipped up and there's actually heel growth. They look like actual hooves. BEST ANSWER: You probably want the Keratex, item E001506. How do I know for sure that I will get the special promotional offer? A free 45 day supply with purchase of 90 day supply? BEST ANSWER: The item is automatically applied to the order once submitted. You are welcome to call to confirm once the order is placed.